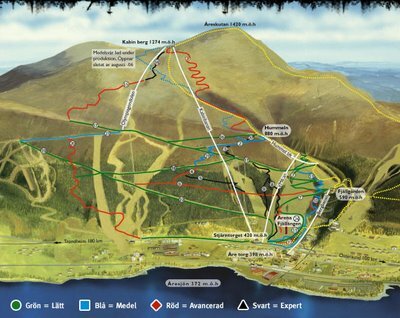 Veritas: Åre Bike Park this weekend! 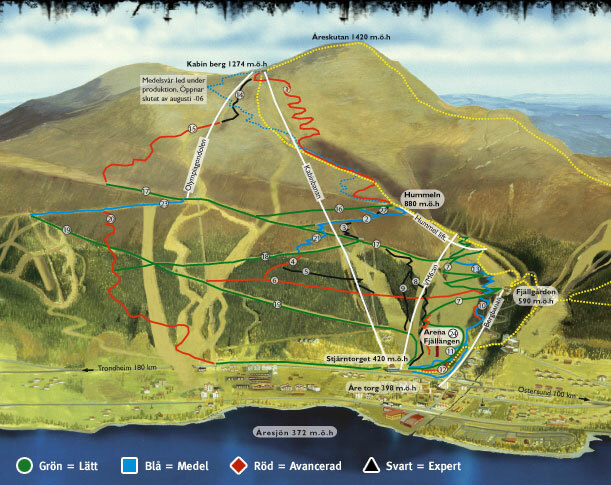 A bunch of friends and I are going to Åre Bike Park this weekend for a couple of days of downhill mountain biking. Åre is where I went skiing for New Year's week 2006. It is Sweden's largest ski resort. Downhill mountain biking hasn't yet gained the same popularity as downhill skiing, so the rental prices for accomodations at Åre are quite reasonable at this time of year. The company that owns the Åre resort is doing its very best to promote downhill biking as a sport. An interview with Ulf Olofsson (in Swedish) provides a bit more background information about the company's efforts to promote the sport. As in winter, there are easy trails, expert trails, and trails of an intermediate difficulty. A PDF trail map is also available. We will ride 2006 Giant Faith 2 downhill bikes, rented from a shop located just on the square in Åre. This bike has shock absorbers on both the front and rear wheels (full suspension). It is also equipped with disc brakes for consistent and reliable braking on long downhill runs. I've ridden mountain bikes since I was a kid, but never on a real mountain. So this will be a new experience for me. Also, I have very little experience with full suspension bikes. The bike I ride now is a so-called “hardtail” bike that has a shock absorber on the front wheel only. 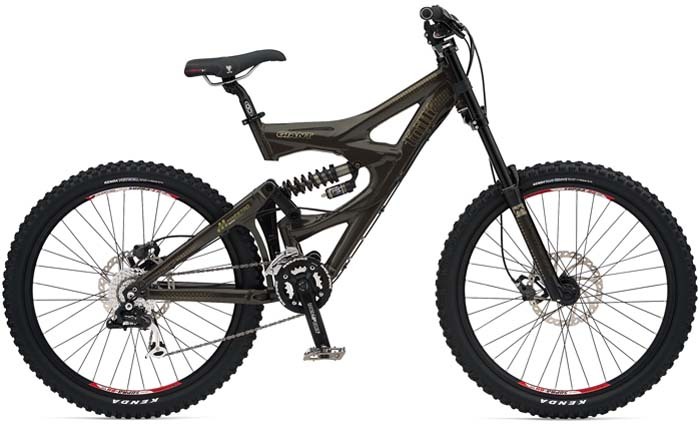 If I like the full suspension bike, I may decide to get one as a birthday gift for myself later this year. Joining me on the trip will be Lisa, Matt, Åsa, Patric, and a bunch of Patric's friends. It's gonna be a blast! To give you an idea of what awaits us, here's a four-minute video of an eight-year-old named Lasse, riding down the mountain. And just for fun, here's another great MTB video.